Being the Samsung's flagship mobile device for this year, the Samsung Galaxy S4 is the successor to the popular Samsung Galaxy S3 smartphone. It is a device chosen to lead the charge for Samsung as it ventures deeper into 2013. And it comes packed with a glut of high end features which is the most powerful and desirable device Samsung has created yet. 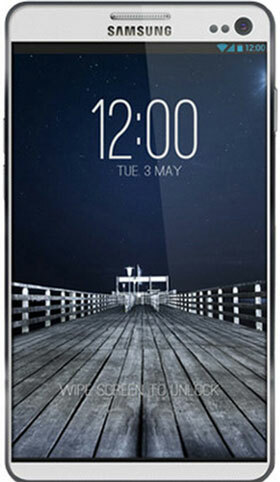 With its best display, it must be a great enjoyment to watch HD movies on Samsung Galaxy S4. Nevertheless, it's hard to ignore that most people purchased or rent movies from iTunes. Since iTunes movies are DRM protected, the M4V format is not supported by Samsung Galaxy S4. Is it possible to transfer purchased or rented iTunes HD movies to Samsung Galaxy S4? What lifts everyone up is that AVS4Mac M4V Converter can remove all those obstacles to transfer iTunes movies to Samsung Galaxy S4. Air View, Air Gesture, Smart Stay, etc. AVS4Mac M4V Converter is a powerful iTunes DRM removal tool to remove DRM protection from iTunes purchased or rental movies. This iTunes to Samsung Galaxy S4 Converter supports converting iTunes DRM protected M4V to MP4 that compatible with Samsung Galaxy S series, Galaxy Tab, Galaxy Note. Moreover, you can also convert itunes movie to MOV, AVI, MPEG1/2, 3GP formats for HTC, Sony PSP, Xperia Play, Microsoft Zune, Xbox One, Motorola Xoom, Nokia Lumia, and more. Now, let's follow the ways to transfer iTunes purchased or rented HD movies to Samsung Galaxy S4. Step 1 Install and launch iTunes to Samsung Galaxy S4 Converter. Click "Add" button to import iTunes movie to the program. Or you can simply drag & drop the iTunes M4V movies to the program. Step 2 Select a proper output profile for the iTunes to Samsung Galaxy S4 conversion. Click "Profile/Output format" drop-down list, you are recommended to choose MP4, this format is best compatible format for portable devices. Step 3 Customize the Samsung Galaxy S4 profile setting. Choose the resolution as you want, for example, 1280*720 resolution will help you watch 720P on Galaxy S4. Tips: If you want to convert iTunes movie to full screen HD Samsung Galaxy S4 movie, you can set the video size as 1920x1080. Choose bit rate as 2000 kbps is appropriate. Step 4 Click "Convert" button to start converting iTunes movies to Samsung Galaxy S4 compatible format. Now, you are free to playback the DRM-free iTunes movie on your Samsung Galaxy S4 anytime and anywhere as you want!